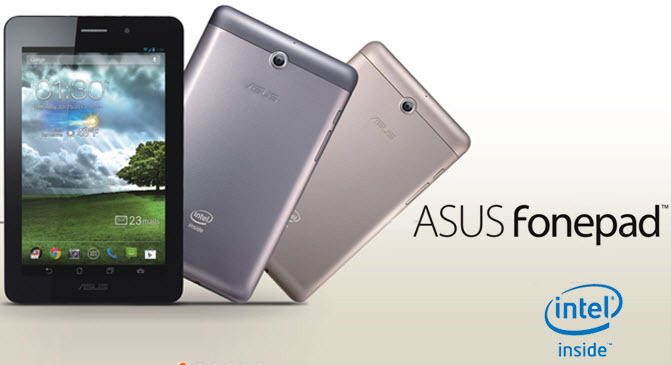 Asus has launched its 7-inch tablet called Fonepad in the Indian market today. This is the first tablet from Asus with voice calling feature powered by an Intel processor. 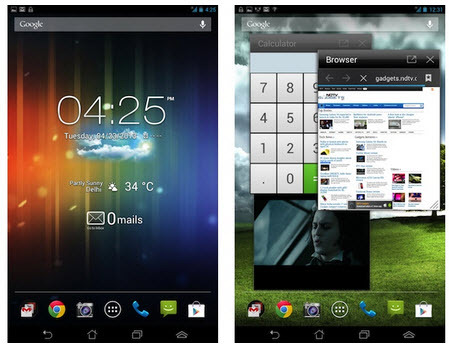 The Asus FonePad will be running on the latest Android 4.1 Jelly Bean operating system, and will sell at a price of Rs. 15,999. Asus is aiming to tap the Indian tablet and smartphone market with this new tablet, and might be tough competition to Samsung Galaxy Tab 2 and Nexus 7 as well. 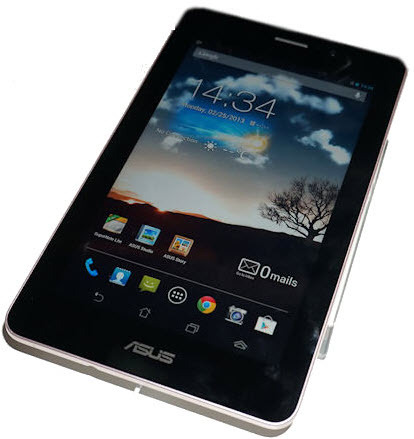 Asus FonePad has incorporated 3G mobile data connectivity with full telephony support, which is a perfect combination of a tablet and phone in a single device. Teaming up with Intel, Asus FonePad will be the world’s first Android based tablet with x86 architecture. This tablet will be hitting the stores of India within the next couple of days, and expecting a huge supply of demand. Check out the detailed preview of this tablet below. Asus FonePad comes in a sleek metallic design which doesn’t feel as rich as the Google Nexus 7, but the brushed aluminum finish at the back looks pretty decent. The front side of the tablet doesn’t have any hardware controls for navigation, which give a full touch screen experience for easy navigation. The 1.3 MP camera is fixed to the top right side of the front screen and the 3 MP rear side at the top center of the device. The front and backside panels have the Asus and Intel Inside logos for additional branding. Asus FonePad comes with 3 MP rear and 1.3 MP front facing camera which support Panorama mode, white balance and additional camera features. The front camera can be used for video chats like Skype and other apps which support video calling. The videos taken by Asus FonePad are saved in 3GP format, which might not be that clear when viewing. This tablet runs on Android 4.1.2 Jelly Bean, which doesn’t run the stock version of the OS. The tablet has been customized with some elements such as the notification tray by adding an additional button with the Android onscreen navigation keys. The tablet also includes some additional applications, features and widgets pre-installed. The Asus FonePad is powered with a 1.2GHz Intel Atom Z2420 processor, and a 1GB RAM with PowerVR sGX540 GPU. It offers 8GB internal storage (only 4.39GB is accessible) which can be expanded up to 32 GB via microSD card. The overall experience of navigation in this tablet is extremely impressive without any lag while multitasking and browsing the internet. Loading some high end games like Shadow Gun, Temple Run, Need For Speed, might lag a bit due to the incompatibility issues with the Intel processor. Coming to the battery backup of Asus FonePad, it’s powered by a 4270mAH battery which gives up to 9 hours of continuous usage. You can switch on the Power Saving mode to optimize the extended battery life, which can be configured to adjust according to your requirements. Priced at Rs. 15,999, Asus FonePad will be a great buy as a 3G enabled tablet. You can replace Amazon Kindle with this tablet to read books for longer hours, as its long lasting battery power can give you uninterrupted power supply of 9 hours. Looking at the features and the performance, the Asus FonePad can surely give tough competition to Samsung Galaxy Tab 2 and Nexus 7. Let us know your thoughts on this tablet via the comments below. Are there any Battery issues or Screen quality issues for Asus Fonepad?